While there are currently 548 single-family residential real estate listings for sale on the Washington County Board of Realtors MLS system between $127,000 and $4M, only 30 single-family residential listings have successfully closed escrow (Sold) over the past seven days. Topping the ‘Sold’ side of the local MLS (multiple listing service) was a sale from the beautiful subdivision in Washington City, known as of the Last Sun at Green Springs. In doing the math for last week’s 30 closed escrows, we see the average sales price was $276,364 and the median sales price was $251,950. 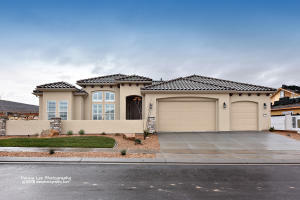 St. George, Utah – it’s way too early on Tuesday morning June 30, 2015 and there are currently 13 Southern Utah real estate listings on today’s brokers’ tour, sponsored by the Washington County Board of Realtor’s (WCBR). 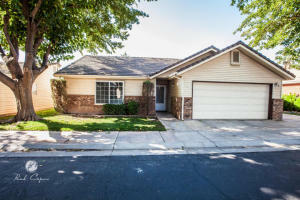 Since I can’t seem to sleep – I might as well write and provide a little useful content for those southern Utah homebuyers looking for the newest listings. 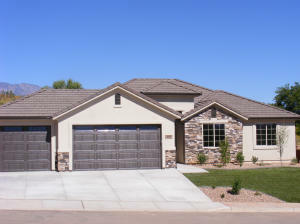 As this is the last Tuesday of the month, today’s tour will focus on what the WCBR has defined as ‘Area 4,’ and will include the newest real estate listings within communities of; Trail Ridge East (Toquerville, UT), Bonanza Estates (Leeds, UT), Rock Hampton (Hurricane, UT), Dixie Springs (Hurricane, UT), the Highlands at Coral Canyon (Hurricane, UT), Silverstone at Green Springs (Washington, UT), and Bella Vista At Stone Mountain (Washington, UT). For precise directions on how to get to any of these newest real estate listings, please view the below information. Should any of today’s newest listings peak your interest to the point of needing more information, simply copy and paste the MLS number into my MLS search – and you will see a complete data sheet for the specific property provided by the FlexMLS system. 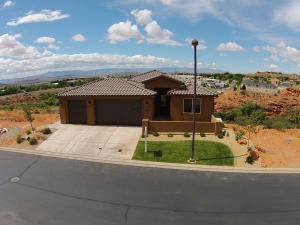 Directions: Red Cliffs Dr. to 2450 E., go south to 390 N., turn right & go to 2200 E…..home is on the corner. Directions: Take Washington Dam Road to Seminole way. House is on the right. Directions: From i-15 take Green Springs Exit head East. Left onto W Telegraph St. Turn right onto Bella Vista Dr. At the end of the road, turn right onto Florence Dr. House is on your left. Directions: Exit 10 North on Green Springs Drive to 1660 W (across from Green Springs Park) turn right next street 775 W turn right then a quick left on 1600 the home will be on your left. Directions: Take the new Washington Parkway Exit 13 to E.Buena Vista Blvd.Turn North onto 1110 N which is Tortoise Rock Dr, take first left onto 560 East, Ruby Place. Home is on corner as you enter subdivision. Directions: From I-15, take exit 13 Washington Pkwy. Turn left at the street just passed the Church – Sandy Talus, then left into The Escapes at Sienna Hills. Directions: Take Exit 16 at Hurricane to Coral Canyon Blvd. turn North to Overland Trails Dr.Left onto Burke Springs Dr. 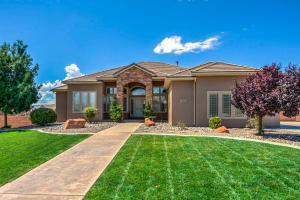 Right on Crimson Creek Dr. Home is across the street from Model Home. Directions: SAND HOLLOW RD TO DIXIE SPRINGS DR, GO LEFT AT WILSON, LEFT AGAIN ON 2700 S…TO WILLIAMS, GO RIGHT ON TO WILLIAM. HOME WILL BE ON THE LEFT. 3RD HOME ON THE LEFT OF WILLIAMS ST. Directions: I-15 North, take exit 22 to Main St., lft on Silver Reef, rght on Silver Hills, Silver Hillls becomes Bonanza, Bonanza becomes Silver Shadows, Silver Shadows becomes Mtn Shadows, home is on the left. Directions: I-15 Exit 27 – Southeast on HWY 17 for approx 5 miles. At bottom of hill outside Toquerville turn left into Trail Ridge Estates. Home is on Rainbow Bridge Street. *Information is deemed to be reliable, but is not guaranteed. © 2015 435MLS and FBS. Prepared by ALEXANDER YEAGER, 435MLS on Tuesday, June 30, 2015 3:43 AM. 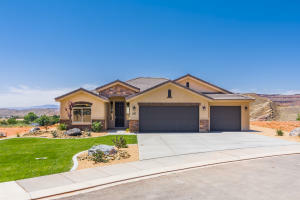 St. George, Utah – it’s Sunday morning, April 12, 2015, and over the last seven days there have been 20 single-family residential real estate listings sold in the greater St. George area per the Washington County Board Realtors (WCBR) MLS system. Upon closer examination of the sold properties in Washington County since April 5, 2015, we see 12 properties recently closed escrow in the city of St. George, 6 closed escrow successfully in Washington City, 1 closed escrow in Ivins, and 1 in Santa Clara Utah. For those seeking greater detail on the areas newly sold real estate listings, the below list will summarize this past weeks closed escrow’s. Offering insight on the Original List Price (LP), the recorded Sales Price (SP) … as well as the property’s overall Days On Market (DOM) — all vital data for those considering the purchase of a home in Southern Utah. In some cases the seller may have elected to withhold the actual sales price of their home; as is their right in the state of Utah. 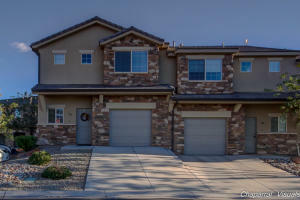 St. George, Utah – it’s Monday morning January 12, 2015 and there are 71 “Active New” St. George Utah real estate listings on today’s southern Utah MLS hot sheet. 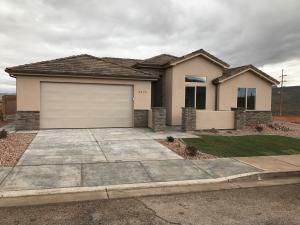 In addition to the massive number of new southern Utah real estate listings placed on the MLS over the weekend, there are now 20 more pending properties working their way through the escrow process, and 16 recently closed escrows for the greater St. George area. Excluding the two misplaced listings residing on the active side of today’s hot sheet, we see six new listings between $7.5 million and $1,150,000. While four of the six new million-dollar listings are either land or industrial property, two of the new million-dollar listings are residential properties. Listed for $1,795,000, and located in the Anasazi Hills subdivision at Entrada, this unparalleled home offers breathtaking views of both Snow Canyon and the surrounding Kachina Cliffs golf course. Next up is a spectacular Stone Cliff residence. Listed for $1,300,000, this star-studded residence was once the former home of NBA great Julius Erving – a.k.a. 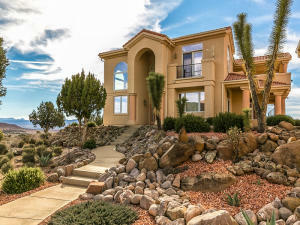 Dr. J – complete with a sports court, pool and fire pit, this one-of-a-kind Stone Cliff home will provide its new owner breathtaking views of the Pine Valley Mountains and our famous red rock vistas. Continuing down active side of today’s MLS hot sheet, we see ten new listings were placed on the Washington County Board of Realtors Multiple Listings Service (MLS) since last Friday between $980,000 and $519,900; 26 new listings between $479,000 and $209,000, and 20 listings between $199,900 and $108,000. Leaving the last 10 remaining listings on today’s hot sheet under $99,000 as a mixed bag of tricks; encompassing both vacant lots and land, commercial retail, and the occasional small condo/townhome. Providing further evidence that weekends are a busy time in the greater St. George area for Realtors, on the pending side of today’s hot sheet we see 11 listings between $428,000 and $199,900 have been placed in escrow since last Friday. 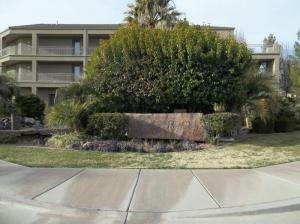 Additionally, nine properties between $135,000 and $25,000 now find themselves in escrow. Over on the closed side of today’s MLS hot sheet, we see 17 properties have successfully navigated the escrow process since last Friday. While one Entrada at Snow Canyon listing withheld its final sales price – originally listed for $675,000 – we see nine properties successfully closing escrow between $1,880,000 and $150,000. 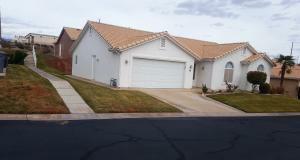 And last but not least, below $144,000, today’s St. George MLS hot sheet is indicating an additional six listings have successfully closed escrow since last Friday. Southern Utah Real Estate News in Summary: Despite Utah’s strong residential real estate recovery, malls… as well as brick-and-mortar retailers are struggling to make ends meet, Utah’s working-class living in popular resort communities are feeling financially squeezed out, and last but not least … Utah’s Golden Boy and potential Presidential candidate, Mitt Romney has been tapped to help Boston win their bid to hold the Olympics in 2024. 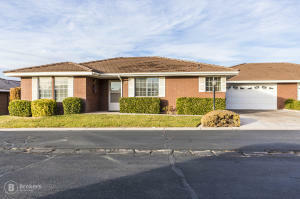 St. George, Utah – it’s early Friday morning January 9, 2015 and there are 40 “Active New” St. George Utah Real Estate Listings on this Friday edition of the Southern Utah MLS hot sheet. In addition to those 40 new properties on today’s MLS hot sheet, there have been 17 listings placed in escrow over the last 24 hours – while an additional 16 southern Utah real estate listings have successfully closed escrow in that same time period. In drilling down on the active side of today’s MLS hot sheet, we see there are 6 new listings between $1,968,000 – $549,900; 11 new listings between $390,000 – $206,000; 10 new listings between $199,900 – $109,995 … and 13 new listings under $98,000. Ignoring the misplaced closed listings; on the pending side of today’s hot sheet we see a rare seven unit multifamily complex as the most expensive property placed in escrow in the last 24 hours. Next up, we see eight St. George properties placed in escrow since yesterday between $895,000 and $219,900, and seven properties below $167,900 now in escrow on the Washington County Board of realtors MLS system. Providing encouragement for both sellers and Realtors alike, this Friday edition of the St. George Utah MLS hot sheet demonstrates that buyers are actively searching out southern Utah real estate – regardless of the traditionally slow holiday season which has recently passed. 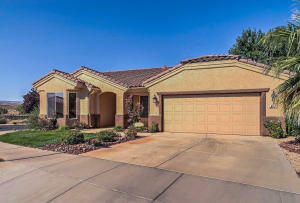 Between $460,000 and $236,000, 10 St. George listings have successfully navigated the escrow process. Additionally, in the last 24 hours there have been five closed escrows between $185,000 and $75,000. 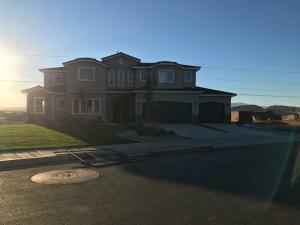 Southern Utah Real Estate News in Summary: Providing further evidence that Realtors need to be on guard at all times: California law enforcement is currently looking for an armed man who pretended to be a potential client and took an Elk Grove real estate agent hostage late Thursday afternoon. Detectives noted the fake client produced a gun and handcuffed the female Realtor. After being held for approximately 45 minutes and being moved from room to room, the suspect left the model home – at which point the agent was able to lock him out and flagged down a nearby security guard. 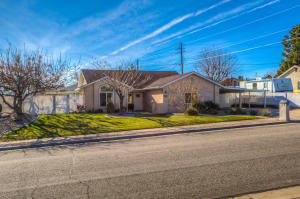 St. George, Utah – it’s Tuesday morning January 6, 2015 and there are 36 “Active New” St. George Utah real estate listings on today’s Southern Utah MLS hot sheet. In addition to those 36 new listings, there are also 29 pending sales and 19 closed escrows on today’s hot sheet. Ignoring the four misplaced listings residing on the “Active” side of today’s MLS hot sheet – we see 12 new properties between $575,000 and $322,900. 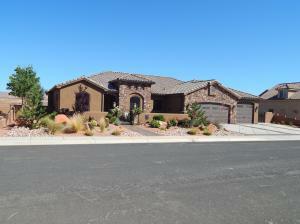 Between $299,900 and $110,000 the WCBR is now showing 16 new listings for the greater St. George area. And last but not least in the new listing category – over the last 24 hours there have been 7 new listings placed on the MLS below $75,000. Over on the “Pending” side of today’s MLS hot sheet, we see that some of St. George’s more expensive listings have been receiving some serious consideration from high-end homebuyers. Example: Now under contract on the original list price of $2,495,000 is a home located at 2498 N. Anasazi trail in Entrada. 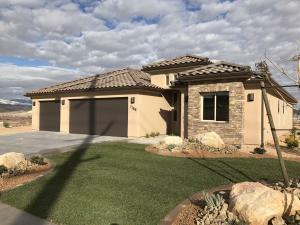 Between $735,000 and $489,000 we see for new southern Utah properties with accepted real estate purchase contracts, and working their way through escrow. Next up on the Under Contract side of today’s hot sheet are 14 properties between $379,000 and $199,900 – and an additional 10 listings between $187,900 and $45,000. And last but not least for today’s St. George Utah MLS sheet, over the last 24 hours the below 19 properties have successfully closed escrow in the greater St. George Utah area. Southern Utah Real Estate News in Summary: While we are more than nine days away, the What’s Up Down South Economic Summit is about to roll into St. George Utah. Beginning at 7:30 AM on January 15, 2015 and ending at 2:30 PM, the Dixie convention center located in 1835 S. Convention Center Dr. will be hosting a daylong event meant to disseminate the many economic data points that indicate southern Utah’s economic health. Provided you register in advance, tickets are available for $95 per person. 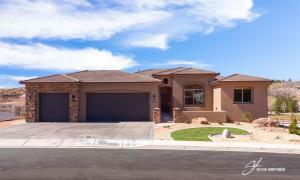 St. George, Utah – its Saturday morning December 20, 2014 and there are currently four Southern Utah real estate listings scheduled for the St. George Utah Open House Directory, on this last Saturday before Christmas 2014. 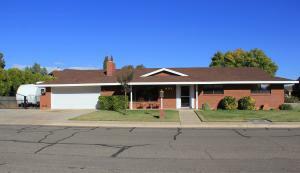 This Washington City home was significantly remodeled in 2009 – including the exterior, interior, tile roof, and wiring. 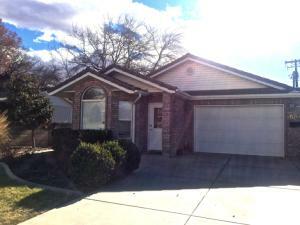 Located on a massive 1/2 acre lot bordering Turner Turf Farm. 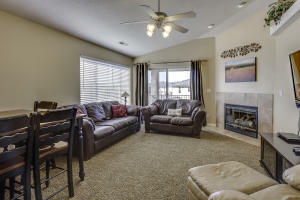 This family-friendly home is clean and move in ready. 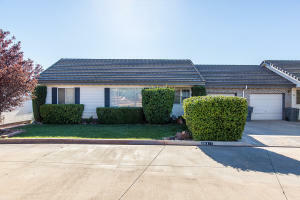 Residing in a quiet and private neighborhood, this property currently has no neighbors on the backside of the home. 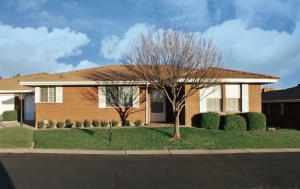 Conveniently located, this property is close t St. George’s many big box retail stores, movie theaters, restaurants and parks! Warm, inviting, and representing the perfect Christmas gift, this cozy Entrada home comes complete with breathtaking views of the surrounding Kachina Cliff area. And while slightly large, this property would make the perfect stocking stuffer Christmas 2014. Embracing the essence of Entrada, this thoughtful and open floor plan will provide the backdrop for many memorable family events, as you sit before a fireplace in the great room or outside on the patio – warming your families heart and soul. 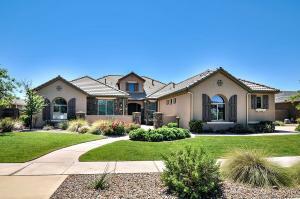 Entrada offers incredible amenities complete with clubhouse and pool. 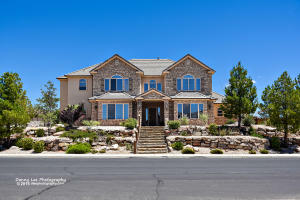 This beautiful Stone Valley Estates home is a custom K. Welch masterpiece. Complete with a gourmet kitchen that sure to satisfy even the most discerning foodie, this Stone Valley Estate property has been finished with hardwood floors and granite throughout. Single level living at its most luxurious, the backyard paradise will sure to be a entertainment mecca amongst family and friends with its pool & private spa/water feature. As an added bonus, this property enjoys the second cheapest electricity in the country, provided by Dixie power. 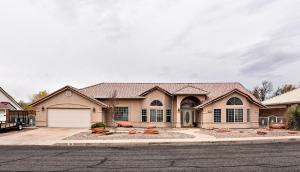 Make this stunning home in Kachina Springs South your primary residence for 2015! Enjoy an incredibly private back yard, which avoids the harsh summer time sunsets by conveniently facing eastward in this Kachina Springs South property. Complete with a well-appointed kitchen and upgraded granite, this stylish gourmet kitchen is sure to impress even the most distinguished master of the Epicurean arts. With essentially four suites, all of the homes bedrooms enjoy their own bathrooms. In typical Southwestern fashion, the well-designed backyard embraces the outdoor space for entertainment regardless of the season. Food for thought: Please remember as you tour these Southern Utah Open Houses this weekend, the friendly Realtor holding the Open House represents the seller… and the seller’s best interest. 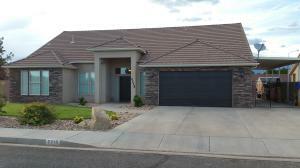 Should you find a property that you are interested in making an offer on, please do not hesitate to give me a call at (435) 619.2206, or at toll-free 844.677.7873. With over 15 years of real estate experience, I have the ability to help make your southwestern home buying experience fast, efficient, and relatively painless. 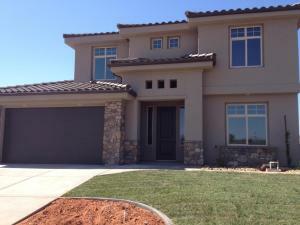 St. George, Utah – it’s December 12, 2014, and there are 15 “Active – New” St. George Utah real estate listings on today’s southern Utah MLS sheet. Additionally, on this TGIF Hot Sheet update, we see 12 more pending properties headed into escrow and 16 Southern Utah listings successfully navigating the sometimes-arduous process of escrow demands. Working our way down the Active side of today’s MLS Hot Sheet, we see a New Harmony listing located in Kolob Ranch; listed for $1,250,000 and located at 3700 Eagles Way, this stunning architectural masterpiece enjoys breathtaking views of the Pine Valley mountain range, Zion National Park and central Kolob. 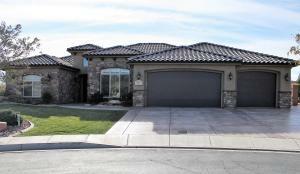 Offering 3,779 sq. 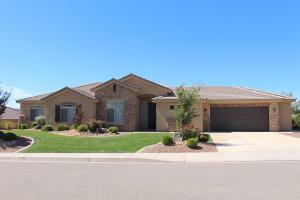 ft. of luxurious Southwest living, this three-bed, three-bath home, enjoys an open and spacious floor plan and a detached casita (see: mother-in-law unit). 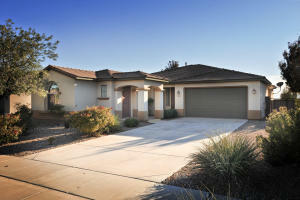 Meanwhile back in Ivins – more specifically Shonto Point – a new listing has hit the market for $449,900. Located at 1077 Buffalo Court, this hybrid of southwestern architecture and modern design could be your perfect vacation home or primary residence. 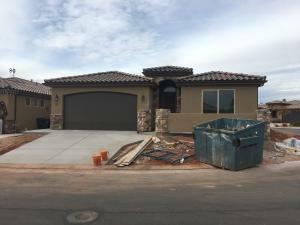 This distinctively designed Kayenta custom home offers its new buyer three bedrooms (two of which are suites), three bathrooms and a three-car garage. Situated on a quiet cul-de-sac with breathtaking views, the new owners of this property will enjoy the open and flowing floor plan and private outdoor living area. For those on a slightly more restricted housing budget, there are an additional six listings between $395,000 and $209,000, and eight new listings between $185,000 and $40,000. Ignoring the one misplaced “Active” listing on the “Pending” side of today’s MLS hot sheet, we see a new listing in the Entrada subdivision, otherwise known as Kachina Springs East. 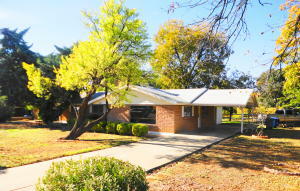 Listed for $819,000 this property sat on the market for 379 days before receiving an acceptable real estate purchase contract (REPC). Also receiving an acceptable REPC in the last 24 hours are 10 properties that had an original list price of between $289,000 and $80,000. From a sold perspective, it looks as though the areas Realtors have been hustling to pad their Christmas budget over the past 24 hours. 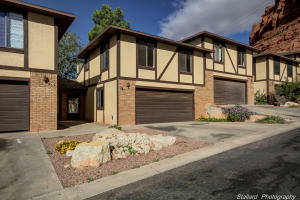 Recently closed were nine St. George listings between $539,221 – $235,000, and seven listings between $179,900 and $25,000. Southern Utah Real Estate News in Summary: Cedar City Scrooge heists children’s charity barrel, Utah’s 2016 budget cycle sees a growing and diverse economic base, and over 3000 St. George Utah residents are expected at this year’s Christmas eve service. That’s it for me for this week – have a great weekend.